They will be joined on the call by leaders and members of SEIU United Services Workers West, which represents 45,000 service workers throughout California, many of whom are participating in May Day by not working. 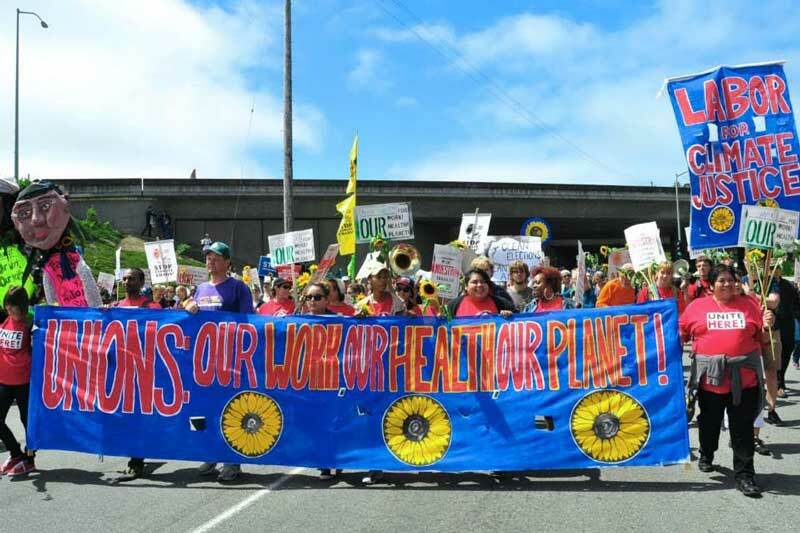 WHAT: Press conference call with environmental and climate justice leaders on May Day statement. CALL: Register for the call at http://bit.ly/2oMqhmu to receive the dial in information. If you have content that you think CJA would like to feature or are a member of the alliance with a story that you would like featured send an inquiry to Info@ClimateJusticeAlliance.org. CJA members have won significant victories against polluting and extractive industries. We are building local alternatives that center traditional ecological and cultural knowledge and create a pathway for a regenerative future. Copyright CC Climate Justice Alliance. All rights reserved.